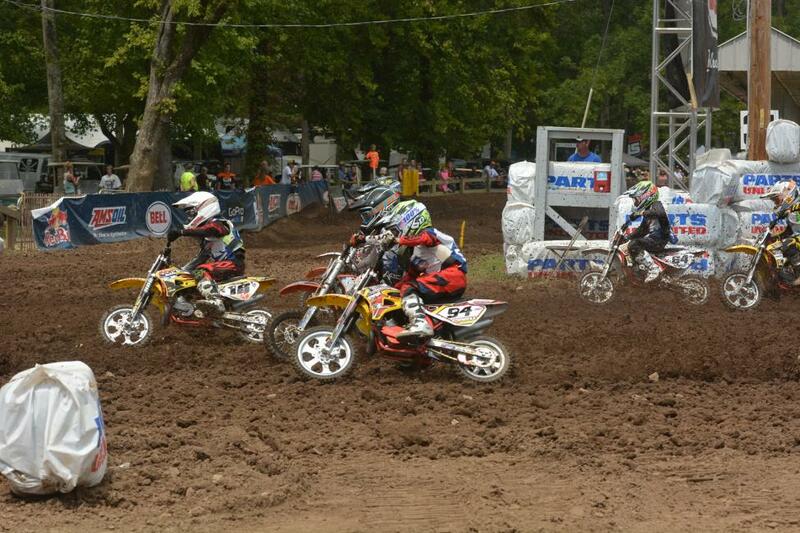 The 33rd Annual Rocky Mountain ATV/MC AMA Amateur National Motocross Championship presented by AMSOIL crowned 19 National Champions on Friday as the penultimate day of racing took place in Hurricane Mills, Tennessee. The Loretta Lynn Ranch hosted another perfect day for racing as temperatures and track conditions were nothing short of ideal for the start of the final set of motos. 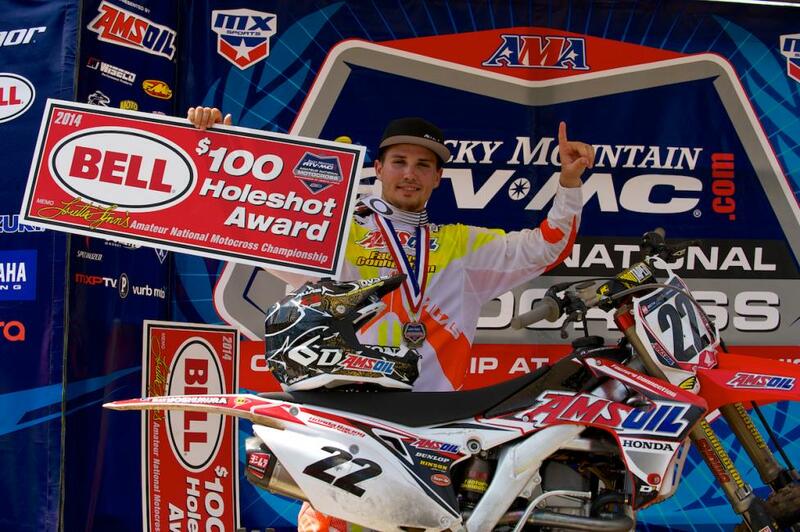 Factory Connection/AMSOIL Honda’s RJ Hampshire is well on his way to earning the coveted AMA Horizon Award after posting a flawless 6-0 win record. Hampshire came into the final set of motos with a load of confidence behind him, putting forth a dominant performance in Open Pro Sport after inheriting the lead from Bell Holeshot winner Jerry Robin early on. Monster Energy/Team Green Kawasaki’s Colt Nichols took second in Moto 3, which was good enough for second overall in the class (3-2-2). Yamaha/bLU cRU’s Aaron Plessinger had a tough run earlier in the week after a big crash in the 250 A class knocked him out of title contention, but the Ohio native bounced back in Open Pro Sport to capture third overall with 2-3-3 moto scores. The final 250 A moto showcased perhaps some of the most exciting action within the A divisions, capping off with a close battle for the lead between Hampshire and Luke Renzland. In attempt to end Hampshire’s perfect record, Renzland dug deep in Moto 3 and applied pressure on the newly crowned champion but it wasn’t enough to seal the deal in the end. With moto scores of 4-2-2, Renzland secured second overall, while Monster Energy/Team Green Kawasaki’s Chris Alldredge rounded out the podium with moto scores of 2-8-4. 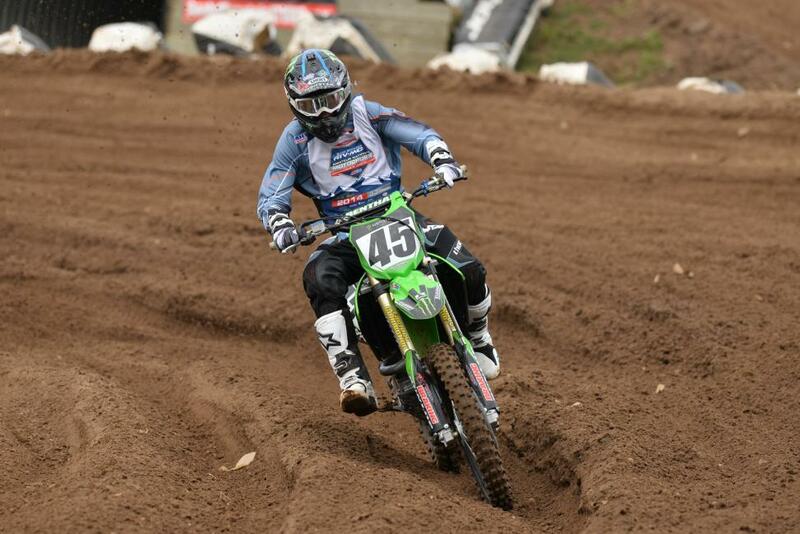 Lorenzo Locurcio dominated the 450 B moto to the tune of 1-2-1 scores to capture his first title at Loretta Lynn’s. Later in the day, Luocurcio capped his week by finishing second in 250 B. Yamaha made it a clean sweep in 250 B, with Tristan Charboneau (2-1-1) capturing the title and Ryan Surratt (5-6-3) rounding out the podium. After sweeping the first two motos of the College B/C class, Stone Edler held a commanding lead over the field as they entered the final moto. RJ Wageman made a last ditch run for the championship by grabbing the Bell Holeshot, while Elder sat in 29th following a bad start. Ashton Hayes eventually passed Wageman for the lead while Elder worked his way all the way up to sixth, which was good enough to keep the championship. Wageman (6-4-2) finished second overall, with Salvatore Colangelo (2-7-4) in third. In Two-Stroke B/C 16+, Carlen Gardner finished strong to claim the title with 3-1-2 scores. Timmy Badour (1-2-4) and Bennett Mantooth (2-5-3) finished second and third. In a crazy battle for the Schoolboy 2 (13-16) B/C championship, consistency proved to be the key. 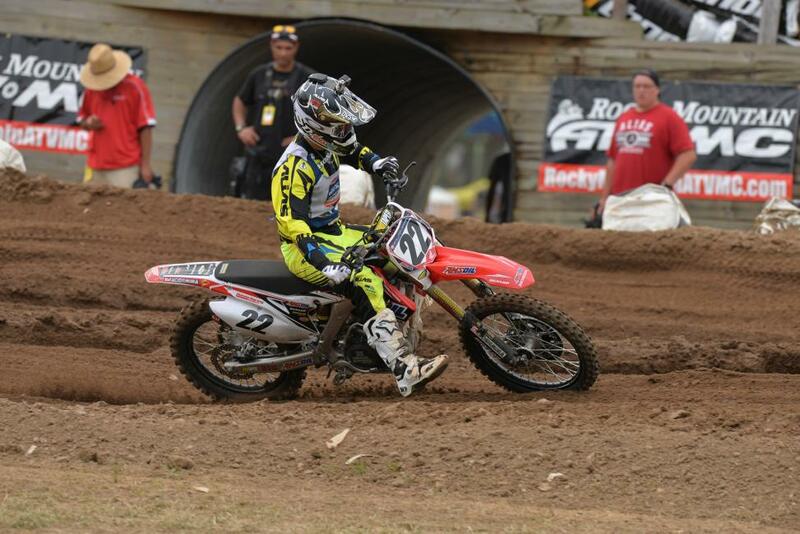 Dylan Merriam (4-5-2) didn’t win a moto all week, but the Honda mounted rider was consistent enough to secure the title after three motos with scores of 7-7-1, Chase Marquier landed the second place position and Rookie White rounded out the overall podium with moto scores of 8-1-6. In Vet action, Ricky Renner continued his perfect run in the highly competitive Junior 25+ to secure the championship on Friday. Robbie Reynard (2-5-3) stayed consistent in all three motos to lock in second, while James Povolny captured third with 3-2-6 moto scores. 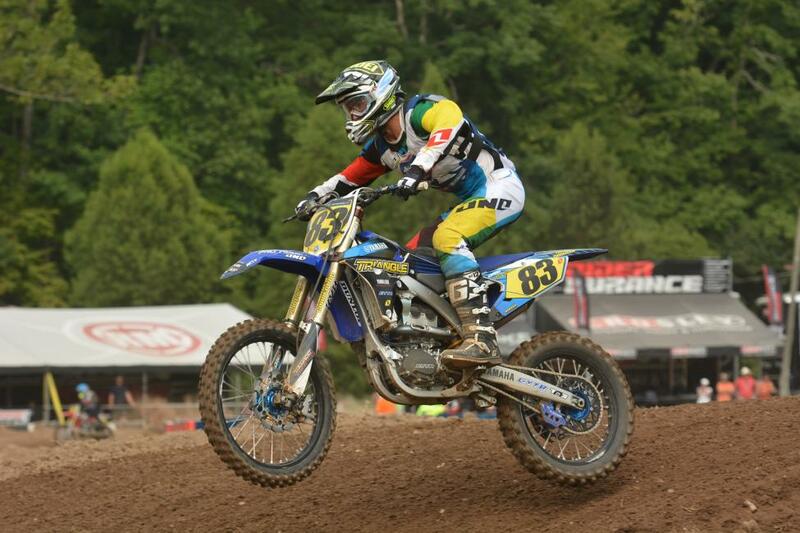 Reynard bounced back in Vet 35+ to capture his tenth career title at Loretta Lynn’s. James Povolny grabbed another podium finish with solid 2-2-2 finishes for the week and Tony Lorusso (5-3-3) rounded out the overall podium. In minicycle, Stilez Robertson was the man on top after taking home two titles on Friday: the 85 (9-11) Limited with 1-2-1 scores and 85 (9-11) with a 2-1-1. 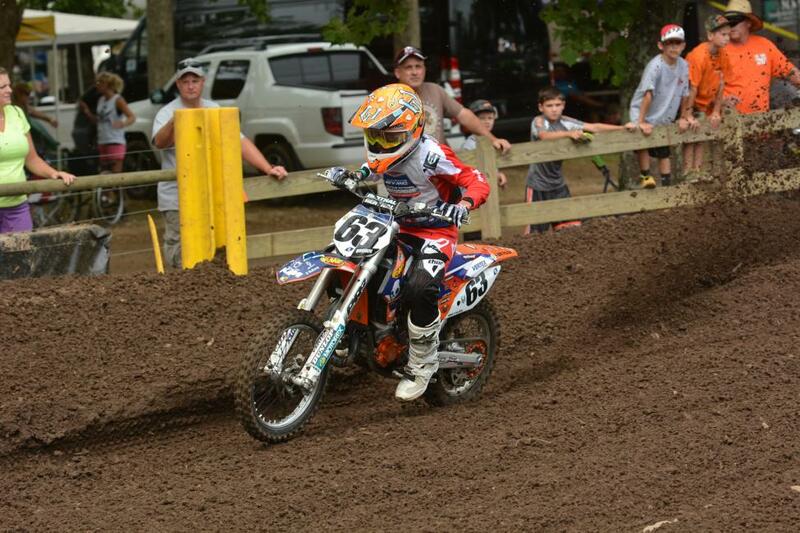 Pierce Brown captured second overall with moto scores of 11-1-2 and Ethan Mann (5-5-4) rounded out the podium. In Mini Sr. 2 (12-14), Garrett Marchbanks (1-1-2) outlasted his fiercest competition, Chase Sexton (2-2-1), to win his first title of the week. Nicholas Romano (1-1-1) made it a clean sweep in the 51cc (7-8) Limited class, followed by Noah Geyer (4-3-2) in the second place spot. Daxton Bennick went 5-9-5 to capture third overall for the week. In 51cc (4-6) Limited, Kace Evans held on for the title with 1-2-2 moto scores, topping Mason Dixon (3-5-1) and Evan Woody (5-4-3). 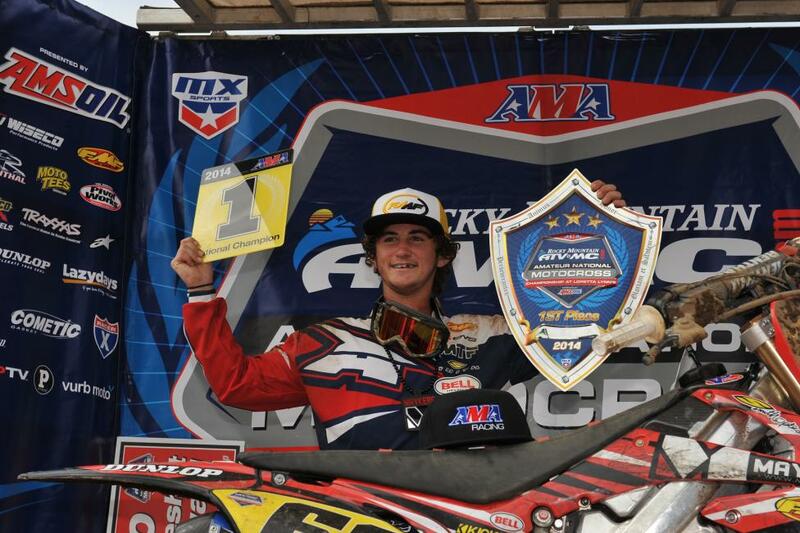 Wyatt McGrath swept the 51cc (4-6) Special Limited title over Reed Harrison (4-5-4) and Braxton Black (2-6-9). In the final 51cc class—(4-6) Shaft Drive Limited—Aiden Eyler (2-2-2) held off Holland Purser (5-3-4) and Tyler Mollet (6-4-3). 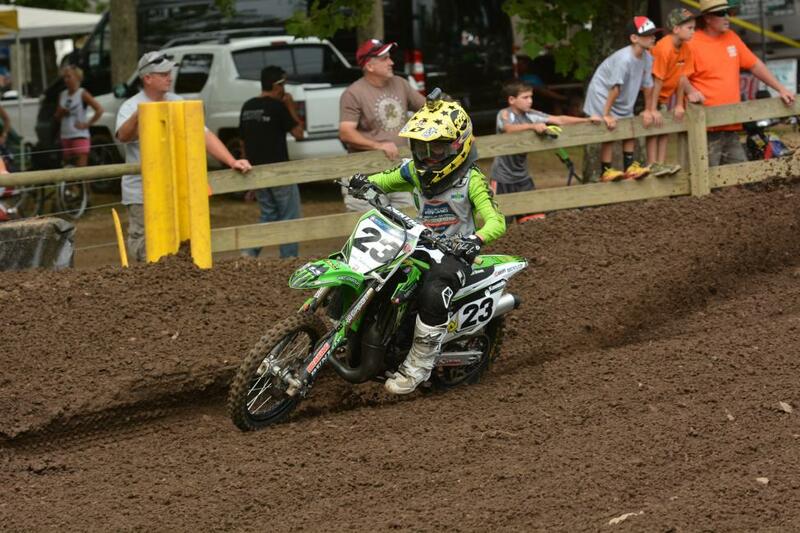 In the 65 divisions, Joshua Varize swept all three motos for the (10-11) Limited championship. Jett Reynolds (9-1-1) emerged victorious in a wild finish to the end, capturing the 65 (7-9) Limited title. Live streaming coverage begins Friday morning at 10:30 a.m. CT / 11:30 a.m. ET on RacerTV.com. For more information on the viewing times for the rest of the week, please click HERE. Archived coverage is now available from the first three days of racing on RacerTV.com, to view please click HERE. 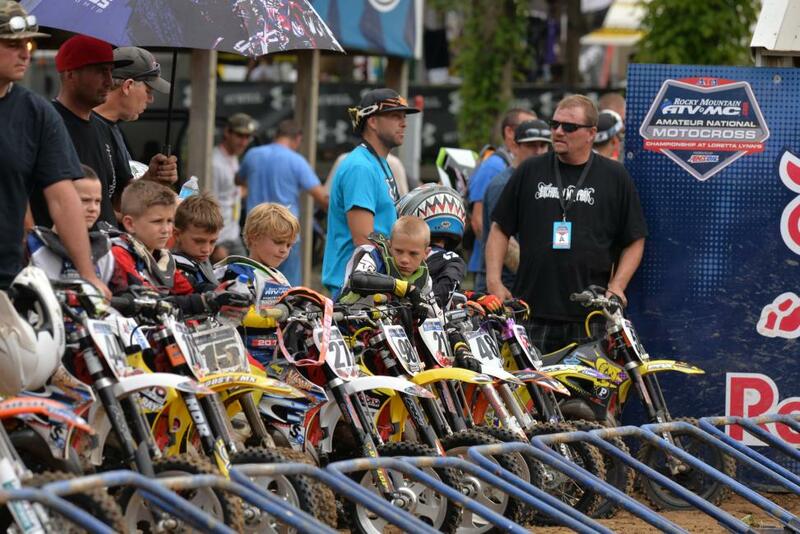 Complete results from the 2014 National Championship can be found HERE and Live Timing & Scoring can be accessed HERE.